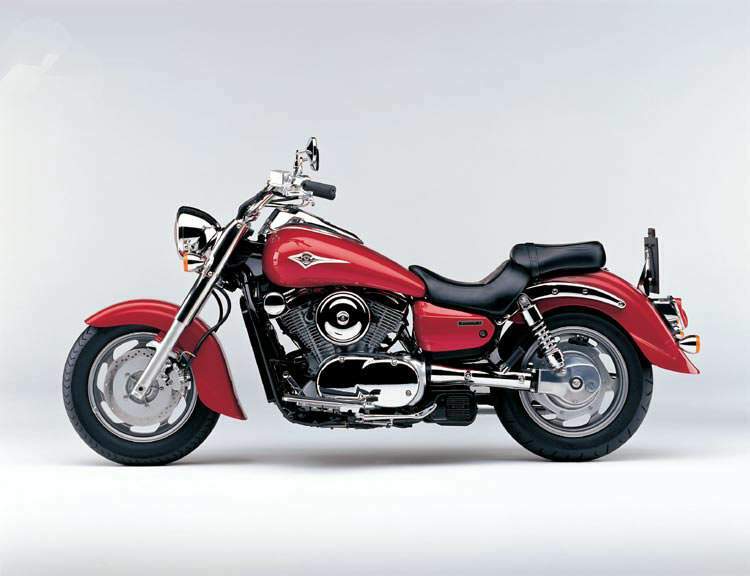 The big 90 cubic-inch V-twin engine in the Classic Fi pumps out plenty of torque and power with high-compression pistons and cam timing taken from the original Vulcan 1500. A Mitsubishi digital fuel-injection system feeds each cylinder a high-octane fuel mixture through twin 36mm throttle bodies. A separate intake tract for each throttle body provides smooth engine operation. The tip of each injector contains four nozzles, with two of those aimed at each intake valve. Two different systems automatically and accurately control the amount of fuel injected into the cylinders. A 16-bit electronic control unit (ECU) uses readings from sensors that monitor engine coolant temperature, intake air temperature, atmospheric pressure, intake air pressure and throttle position to adjust the amount of fuel injected. The overall result is excellent engine response and power with increased fuel efficiency. The ECU also has a special pin that allows technicians to check the fuel-injection system if needed. There are four valves per cylinder actuated by single overhead cams. Two valve springs are used on all valves to help ensure tight valve closure, while hydraulic valve lash adjusters automatically maintain valve clearance for smooth engine performance, reduced noise and no maintenance. Automatic cam chain tensioners keep cam timing accurate and provide greater reliability with no upkeep. The right-side crankcase and clutch cover are designed to make it easy to check the engine’s oil level and to perform regularly scheduled maintenance. The engine produces 85 foot-pounds of torque at 2,500 rpm so that a crack of the throttle punches out smooth acceleration. A gear-driven engine counterbalancer and rubber engine mounts reduce handlebar and floorboard vibration, yet the engine retains its distinctive V-twin rumble. 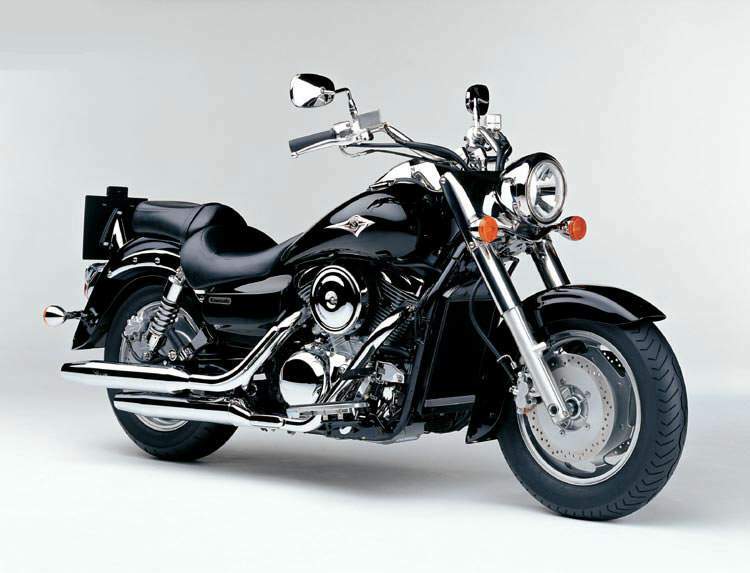 A long, low-slung chassis provides the classic cruiser look. The Classic Fi’s floorboards are positioned to put the rider in an upright and comfortable position. Also, the brake pedal is designed to make it easier to apply the dual-piston-caliper-equipped brake. Other conveniences include wide, five-way adjustable brake and clutch levers for added rider comfort and self-canceling turn signals for easier use. An electronic speedometer eliminates the traditional wheel-driven mechanism and its speedometer cable for a cleaner look. The speedometer face atop the five-gallon gas tank features an LED display for the odometer and tripmeter, as well as a clock. Because customizing is integral to the whole cruiser experience, Kawasaki offers a full line of FIRE & STEEL™ accessories for the Classic Fi. 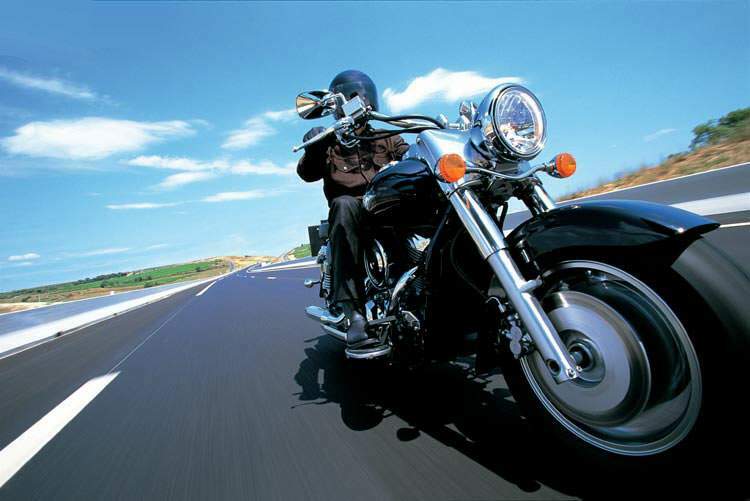 Among the choices are numerous chrome pieces, leather bags and trim, backrests, lights, racks and windshields. With its exceptional performance, nostalgic looks and high-tech enhancements, the Vulcan 1500 Classic Fi is just the ticket for the high-minded cruiser enthusiast. Long, low and built with muscle to go. The cruiser world is set on fire with the all-new Vulcan® 1600 Classic. When we say "long," we mean it. We stretched the Vulcan® 1500 Classic’s dimensions to achieve a Texas-sized, 67.1-inch (1704 mm ) wheelbase and an overall length more than eight feet. The result is outstanding handling and a raked-out look right from a custom shop. You want to talk low? Drop into the 26.8-inch (681 mm) seat and set your boots firmly on the asphalt. That’s one comfortable ride. For power, we stroked the enormous 1470cc SOHC liquid-cooled V-Twin engine of the Vulcan 1500 Classic to 1552cc, and added new cam timing and fuel-injection mapping for maximum low- and mid-range punch. Finally, we enhanced the style by adding a gorgeously shaped fuel tank that features smooth edges and electronic instrumentation. A dream cruiser, indeed. 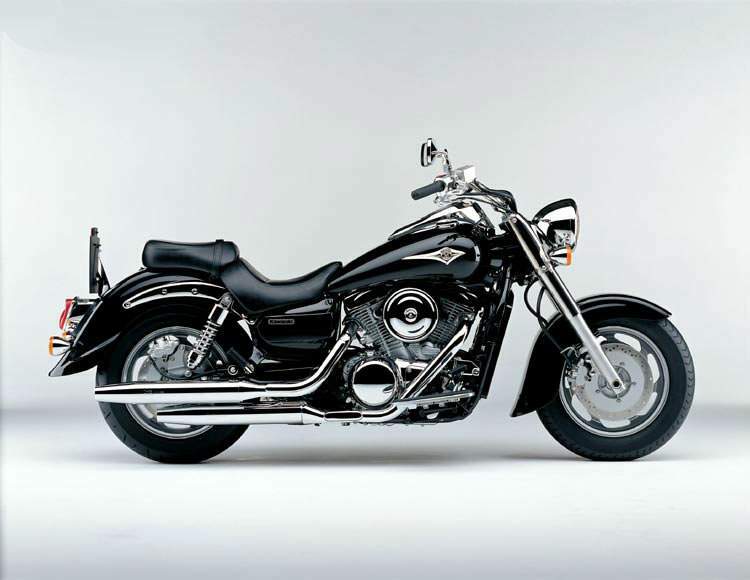 If cruiser coolness can be measured in height and length, the new low-and-long Kawasaki 2003 Kawasaki Vulcan® 1600 Classic is as cool as it gets. The new king of the Vulcan lineup is a stroked version of the popular Vulcan® 1500 Classic Kawasaki's best-selling cruiser. A new engine delivers the kind of low rpm rumble that gets the nod from serious cruiser riders. A new frame with a longer wheelbase and a lower seat height houses the engine and is the basis for this new American classic. The new flagship cruiser's great performance and attention to detail will appeal even to non-cruise riders. - The Vulcan 1600 Classic cruiser displaces 1,552cc that’s 95 cubic inches, and develops extra strong low-speed torque for smooth cruising on the street. - In the classic tradition of a Vulcan big-bore V-Twin, the 1600 Classic’s cylinders part at 50 degrees from center for a narrow engine configuration. Twin engine balancers and rubber engine mounts smooth out the big V-Twin’s pulses. - With its bright silver cylinders, shiny chrome cylinder head and air cleaner covers, the 1600 Classic imparts a strong visual cruiser statement. - The advanced dual 36mm fuel injection throttle bodies and precisely mapped ignition settings offer strong, seamless cruising performance. - The cylinder head breathes through 4 large valves while hydraulic valve lash adjusters require zero maintenance or periodic adjustment. - Twin spark plugs per cylinder ensure maximum combustion efficiency, which translates into more power and excellent fuel economy. - The robust 5-speed transmission includes hardened faces on the gear teeth, a bulletproof clutch and Kawasaki's renowned Positive Neutral Finder for finding neutral when you stop. - The high-tensile steel frame features massive twin 40mm square tubes joined to form a single backbone and a long swingarm stretching the wheelbase to 1679 mm (66.1 inches). - The large front brakes measure a massive 300mm and feature dual twin-piston calipers for impressive braking performance. - Shaft final drive is sleek-looking and very low maintenance plus its quiet and clean. - The multi-reflector headlight with its special chrome-plated fork cover add to the strong character of the 1600 Classic. - Tank-mounted electronic speedometer with LCD display for fuel level, odometer, tripmeter and clock. - Strong cast alloy wheels mounted with tubeless tires for added security. Wide rear rim with wide 170/70 x 16 rear tire. - Large 20 Litres (4.4 gallon) flangeless fuel tank enhances the long wide lines of the Vulcan 1600 Classic.